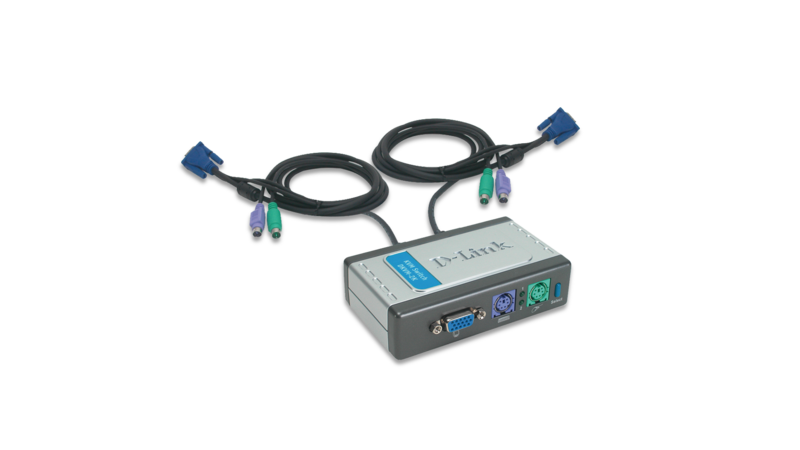 The DKVM-2K 2-port mini KVM switch kit is a cost effective kit for home and office users. This kit allows you to easily control 2 different PCs from a single set of keyboard , mouse, and VGA monitor. It includes a 2-port KVM (Keyboard, Video and Mouse) switch and 2 sets of built-in cables for ready connection to 2 PCs. The switch provides many easy to use features and is perfect for home and small businesses.